Ad Hoc Network simulation Projects Using OMNeT++ simulator. OMNET++ AD-HOC SIMULATION networks are set up for one time occurrences such as conferences or military operations. Ad hoc is defined as “Arranged or happening when necessary and not planned in advanced”. Each node in the network communicates with other node using radio waves. Due to the non-static nature, ad hoc network avoid the single point of failure and make the network more robustness. 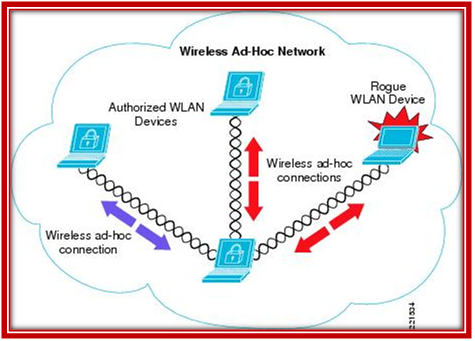 An ad hoc network is local area network that builds an automatic connection to the nodes in the network. The entire network is distributed and nodes are collaborated with each other without fixed station access point (AP) or base station. Due to the absence of centralized structure, the nodes in the ad hoc network acts as router to send and receive the data. Download Sample Source code for Ad Hoc simulation.